Is driving for fun a thing of the past? How much do you enjoy driving? For some, the answer is a simple response of it gets us from here to there and it’s practical. Others will undertake this task in sufferance, something to be endured either because of a reluctance to engage with the process or due to the conditions in which you drive. 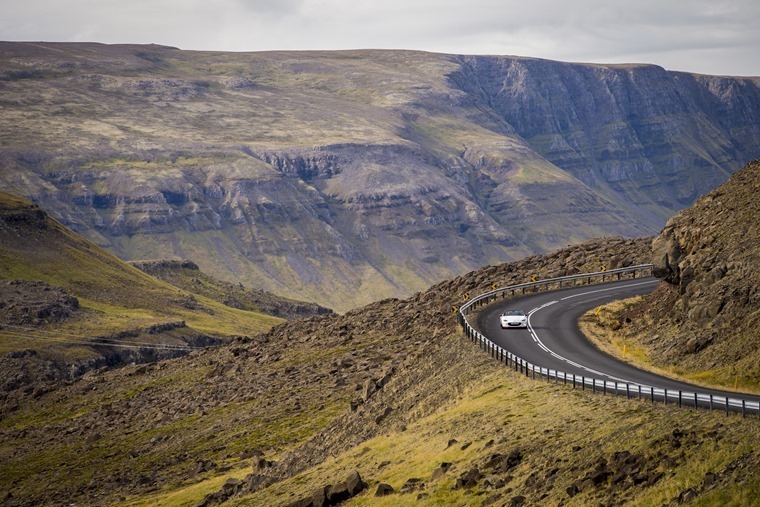 For many, however, driving remains a pleasure, a skill to hone and enjoy in and of itself. This makes the car we drive every bit as important as the practice of driving because one effects the other in very fundamental ways. For example, there are drivers who would never countenance an automatic gearbox because they feel it cedes control to the machine when it should be the human in charge. Then there are others who want all of the assistance possible so they can focus on just the journey. Whichever camp you fall into, there’s one mainstream car company that has promoted itself more than any other on the strength of its cars’ driving ability: BMW. 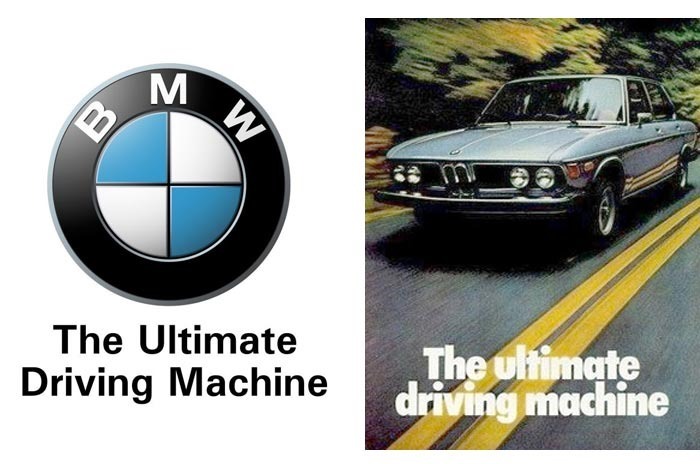 The slogan BMW has employed for years is: “‘The Ultimate Driving Machine”. Even with the brief spell when it ignored this and thought joy was the way to go, BMW customers were far more likely to remember the original slogan. After all, it’s pretty catchy and sums up everything the Munich firm has always strived to achieve. Even when developing its luxury and SUV models, BMW has brought a keen driving edge to its cars that has marked them out for keener drivers. 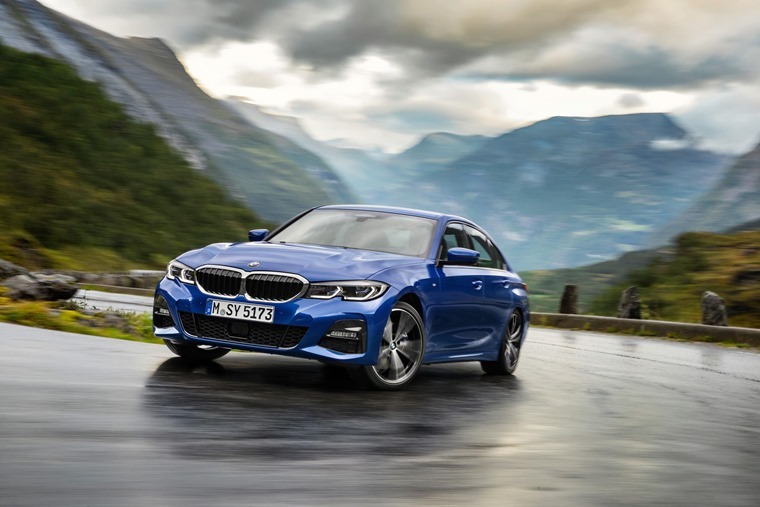 So, it was no surprise when the wraps came off the newest generation 3 Series at the Paris Motor Show that BMW said it was going to be the sharpest drive in its class. Well, they would say that wouldn’t they? Of course, this is a vital model for BMW and they cannot afford to disappoint a loyal fan base and those aspiring to move up to the 3 Series as the next marker-post in corporate life. The 3 Series has long been an important stepping stone for business users and private owners alike, a way of elevating above the common herd even when the BMW and its competitors have now become the mainstream at the expense of the likes of the Ford Mondeo and Vauxhall Insignia. Yet, is BMW right to push the message of being the most sporting, dynamic car in its sector any more? Do we care? If you’re reading this, then you probably do, but there are legions out there who no longer seem to care about the art of driving or the ability of the car they are piloting. Let’s face it, the evidence is all around us on every journey we undertake that most people at the wheel are thinking about many more things ahead of how to conduct the car in the best way possible. Then there’s the state of the roads themselves. In a poor way, many of the roads we negotiate daily do not lend themselves to enjoying the route from home to work or wherever we’re heading. It’s more about survival and protecting the car from damage, though there is a skill to this sort of anticipation that marks out the more engaged, able drivers from those happy to batter their way over potholes. Congestion is another fact of life put in our way to detract from driving enjoyment. The Ultimate Driving Machine is no better or worse than the dullard plain box in front when it comes to queuing and crawling forwards at a snail’s pace. Then again, BMW would beg to differ. 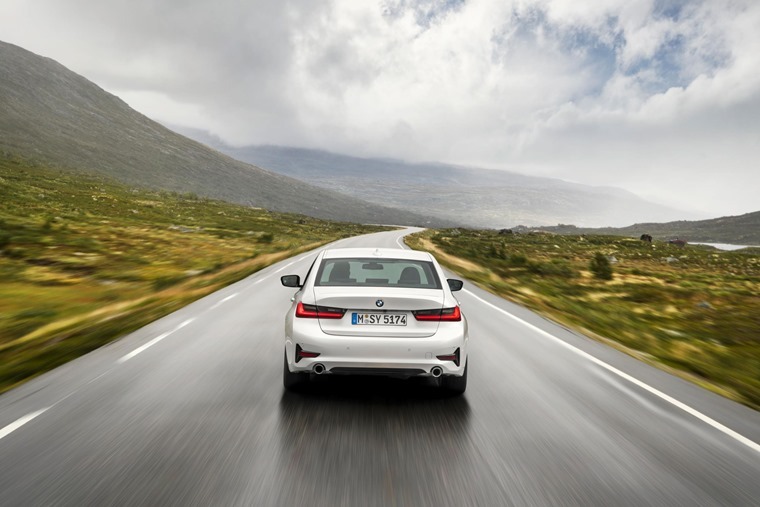 With features such as adaptive cruise control and autonomous emergency braking in the new 3 Series that means it can take much of the drudgery out of these all too common driving conditions. BMW, like many others, is adding greater autonomy to the new 3 Series, as well as looking to electrification, to make it better suited to the world we drive in. This goes hand in hand with improved safety and environmental considerations. Does that spell the end of BMW being the best car in its class to drive? It’s a generalisation that rings true for every generation of 3 Series to date and we see little reason to doubt it for this new model, though some might think the encroaching influence of technology is homogenising the way cars drive, leaving only differences in appearance and equipment to set one apart from the others. However, we’re not of that mind. 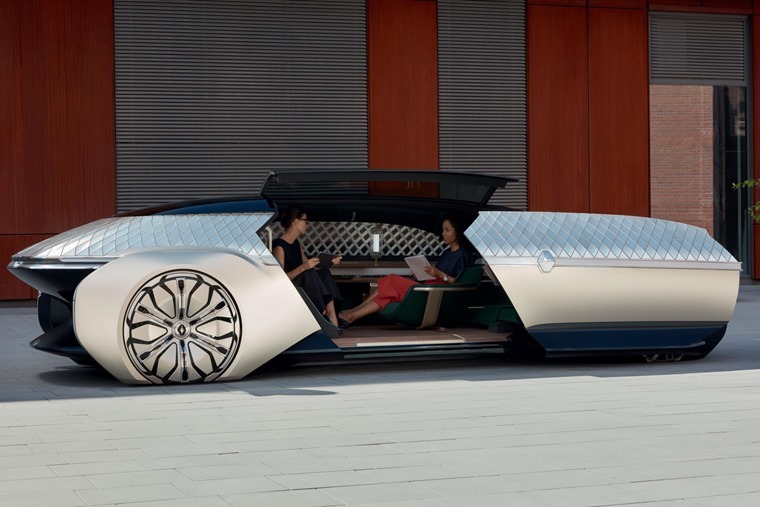 While electric cars do miss that emotional connection that comes with an internal combustion engine in its sounds and power delivery, there’s still plenty of room for a car and its manufacturer to assert its own intentions, desires and character. The fear of many at present is we’re facing a Big Brother-style future where cars will all become utility devices bereft of any fun. 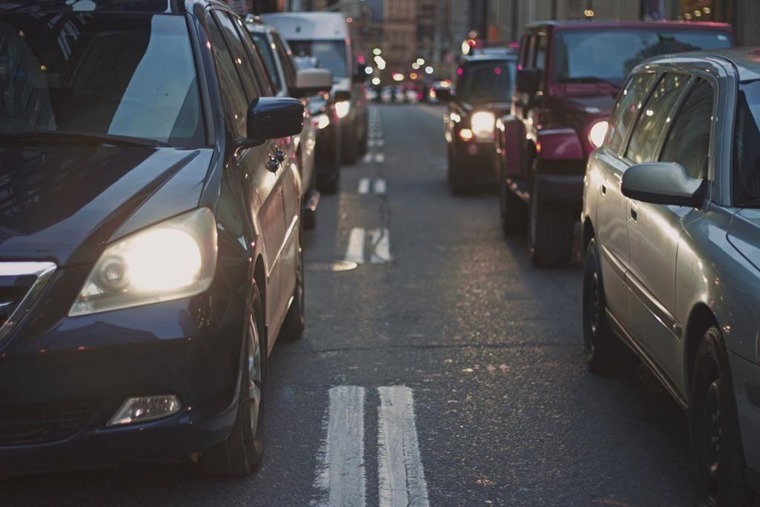 Even when that fun element might only represent a small percentage of our driving today, it’s what many of us crave in our cars and why we choose one over another. BMW depends on this trait to underwrite its message of being The Ultimate Driving Machine. Is Renault’s EZ-Ultimo the future of motability? Far from the new 3 Series being a last hurrah for predominantly fossil-fuelled cars as we move further down the electrification route, we see this as a turning point, a junction in the road to the future rather than a dead end. Why do we think this when so many are predicting the end of the car as we know it? It’s pretty simple really and it’s because of you, the human that gets behind the wheel and is in charge of the vehicle. There remains a huge swathe of drivers who want to enjoy their car and the way it behaves and reacts to inputs from the person at the steering wheel. There’s something very elemental and invigorating about making a machine so complex do as you ask. It’s a reward that gets better the more effort you put into it, and this is something that no autonomous vehicle can ever provide. Without a doubt, there’s a place in the future of driving for autonomy, but there’s also more than enough margin left for those who want to experience the pleasure of driving. After all, we’ve been doing it for more than 130 years and haven’t got bored with it. What seems more likely is the driving public will become more polarised in their approach to vehicle choice. 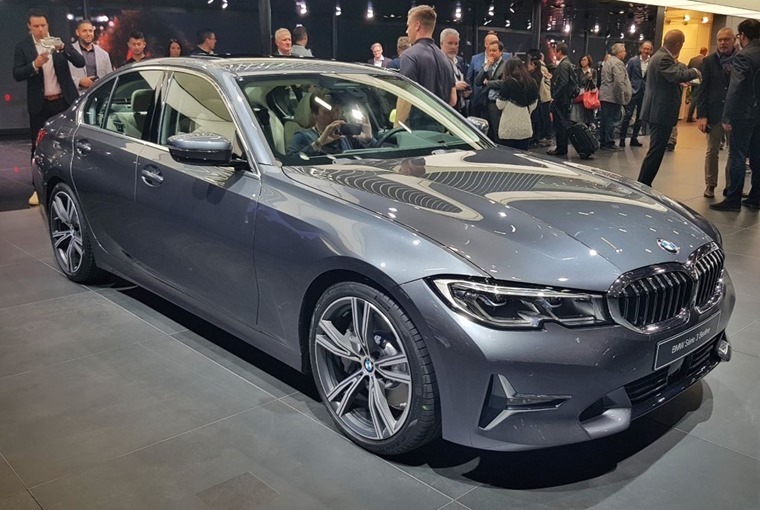 For some, autonomy and ease will win out, while for others the likes of the BMW 3 Series will continue to hold an appeal as a partnership between car and driver.